Boricua rises through the blood of Kearns' poems the way another ancestor, Rilke, in his 3rd Duino Elegy, explains how, inside us we haven't loved just some one in the future, but a fermenting tribe; just not one child, but fathers, cradled inside us like ruins of mountains, the dry riverbed of former mothers…feelings welled up from beings no longer here. I like Kearn's poetry, each one glimmers with a different wave coming in from a faraway place where the muse of poetry originates. I respect and admire the balance that Rick brings to these circling poems, his Rufino bravery in taking on America's injustices as well as his sensitivity to beauty despite the oppressions of perennial cruelty, his embracing of dreams, and his daring to embark on the odyssey of Rufino's Secret. Rick, thank you, nya'weh, for sharing your magical secret with us, amigo. And, of course, abrazos. but I can't understand what he's saying. but it's making me nervous. 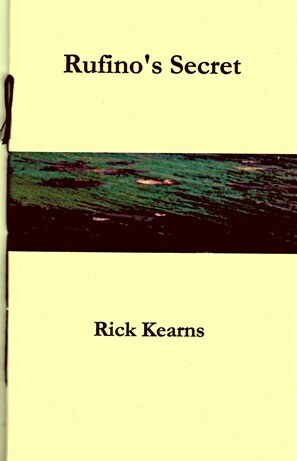 Rick Kearns, aka Rick Kearns-Morales, is a poet, freelance writer and musician of Puerto Rican (Spanish/Taino) and European background based in Harrisburg, Pa.
Kearns' poems have appeared in the following anthologies: I Was Indian (before being Indian was cool) (FootHills Publishing, NY 2009); El Coro/A Chorus of Latino and Latina Poetry (Univ. of Massachusetts Press, Amherst, 1997); In Defense of Mumia (Writers & Readers Press, Harlem, NY, 1996); and ALOUD; Voices from the Nuyorican Cafe (Henry Holt & Co., NY, 1994. Winner of the American Book Award.) 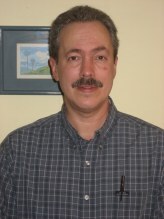 His work has appeared in literary reviews such as: The Massachusetts Review, Painted Bride Quarterly, Chicago Review, ONTHEBUS, Poetry Motel, The Blue Guitar, Drum Voices Revue (So. Illinois University Edwardsville), The Patterson Review, HEART Quarterly, Big Hammer, Palabra: A Journal of Chicano and Literary Art, Yellow Medicine Review, Letras (the literary review of the Center for Puerto Rican Studies, Hunter College), Fledgling Rag and others. A few of his poems have been translated into Spanish and Portuguese, and have been read on radio shows in Argentina, Brazil and elsewhere.